Last week in the Williams class we encountered not just modernist difficulty but the discomfort of difficult content: our discussions centered on the medical gaze and the American idiom, and on our encounters with Williams’s attitudes toward difference. I was left wondering what kind of space we need to create in our classrooms to address material that is triggering. We ended class with a too-brief discussion of the troubling scene in “The Use of Force,” in which Williams’s speaker gives a diphtheria test to a young girl, overcoming her resistance to his treatment with brutal and sexualized force. 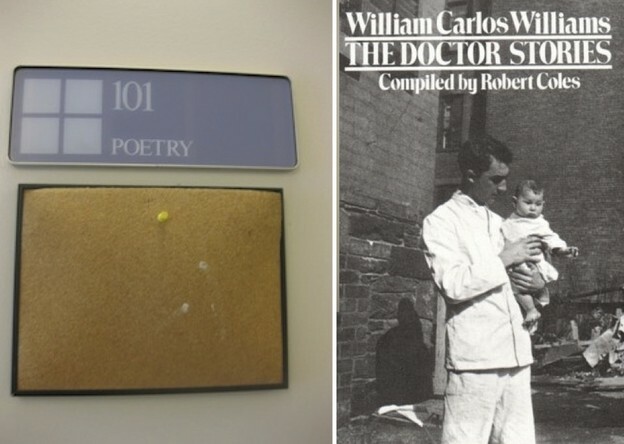 The story has been widely discussed as a case study of medical ethics as well as a text that dramatizes the crossing of boundaries between literature and medicine; as Brian Bremen puts it in William Carlos Williams and the Diagnostics of Culture, “For Williams an act of diagnosis is as much a poetic act as it is a medical practice.” In his efforts to resist scientific reduction, as critics like Bremen argue, Williams frames anecdotes that are dialectical, nonironic, even open-ended. We hate the doctor’s brutality even as we appreciate that he achieves the diagnosis. Still. As one of my students put it, “I liked the other Williams better.” Stories such as “The Use of Force” or “The Colored Girls of Passenack” upend the other Williams of “Smell!” or “The Catholic Bells.” Both kinds of texts revel sensorily in the object, but it is difficult to reconcile the naturalization of women’s bodies (and their violent sexualization, and their racialized exoticization, and their misogynist objectification) with the other things the poetic object can do. It is difficult to reconcile these poetic operations also with the affective forces in the poem, with the work of feeling the poem can do. There are more than two Williams, yes, and the course is organized as such: the doctor, the imagist, the epic poet, the art critic, the Americanist, the transatlanticist, and so on. This is the first in many weeks of reversals, which may be a hallmark of the single-author course: not Poetry 101 but 101 Poetry, to cite the unusual classroom placard, above. Even if we leave biography aside, we frequently teach texts in ways that fix the figure of their authors: Williams writes X, argues Y. Less frequently do we get to teach a work in relationship to many other works and to confront the impossibility of reconciling a writer’s many opposites. I hope it’s a productively uncomfortable place to occupy.